Kratom is an evergreen tree that originates from Southeast Asia where it has always been used for medicinal and recreational purposes. In scientific circles, the Kratom tree is known as Mitragyna Speciosa, and it comes from the same plant family as the coffee plant. Kratom is a well-known herbal remedy in places like Borneo and Thailand, where people have been using it for centuries. Depending on the dosage, Kratom can have stimulant or relaxing properties. Most users in the West take Kratom for pain relief purposes, while others take it to increase energy. Some evidence suggests that Kratom may be a useful treatment for withdrawal symptoms that people often experience as a result of opiate addiction. For almost two decades now, the use of Kratom has seen a steady increase in the US and around Europe. Most people take it for medicinal purposes, but some use it as a recreational substance. Unfortunately, the medical establishment doesn’t support the use of Kratom, and most physicians discourage patients from taking it. How Does a Kratom High Feel Like? Can Kratom be detected in a drug test? Can Kratom cause psychological trauma? Does Kratom use come with any risks? Can you legally grow Kratom at home? There’s no scientific knowledge or evidence available about Kratom. No controlled clinical trial or human studies have been conducted on the plant and most of what we know about it comes from anecdotal reports and a few animal studies. The available research data shows that Kratom contains over 25 biologically active chemicals. 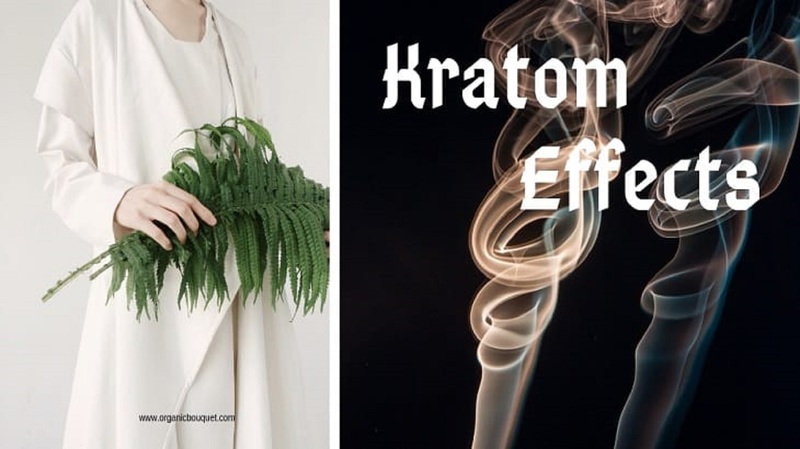 Some of these chemicals are able to bind themselves into brain receptors, which is what’s causing the concern over Kratom’s possible addictive nature. In fact, Kratom has since been banned in the countries to which it is endemic such as Malaysia, Thailand, and Myanmar. That’s because substance abuse is rampant in those areas, and many believe that Kratom is to blame, although most people use it as herbal medicine. It’s worth noting here that Kratom contains certain chemicals that can restrict the liver’s ability to metabolize enzymes. This could lead to difficulties with processing other drugs and medications, which is why it’s always recommended to check with your physician before you try any substance, including Kratom. There have also been reports of fatal overdose incidents that happened as a result of combining Kratom with other drugs. A few studies were conducted with frequent Kratom users in Thailand and Malaysia recently and the results show that Kratom effects might be dire, especially if the user increases the dosage over time. If you experience any of these effects after taking Kratom, consult with your physician immediately. The effects of Kratom are quick and powerful, which means you may start to feel a difference within 5 to 10 minutes. According to the Drug Enforcement Administration (DEA), Kratom effects might last for up to five hours. The Mitragyna Speciosa, which is another term for Kratom, is a plant that’s endemic to places like Southeast Asia and even parts of Africa. People in these regions have been chewing on Kratom leaves for centuries, using it as a mood booster, pain relief medicine and even an aphrodisiac. But, in modern times, the plant has been banned in places like Thailand because of its high dependency potential. Nevertheless, the use of Kratom has only increased and spread to other regions of the world despite these bans. Many people in the West now use Kratom to boost their energy levels and focus while they go about their daily work. This means that growers in places like Thailand are forced to go underground and smuggle the plant to vendors in the West. Kratom’s use continues to increase in popularity all over the world, especially in the US where you’ll find Kratom “bars and pubs” in almost every state where the substance is legal. Many people opt for this beverage instead of alcohol because it offers similar effects to alcohol but without the hangover the next day. Most places that sell this Kratom beverage call it “ketum” which is a way to disguise its true nature. You can also get Kratom at head shops, health stores, convenience stores and online. It’s widely available and easy to source. Most people don’t know this but Kratom is recognized as a dietary supplement in the US states where it is legal. This is despite some of the negative Kratom effects which we now know about as courtesy of the US Food and Drug Administration (FDA). According to the FDA, Kratom has a number of risk factors, from causing hallucinations and respiratory issues to severe withdrawal symptoms. Kratom is one of only a few substances whose effects can be felt within five minutes of intake, and those effects can last for two to five hours afterward. Most people consume Kratom in the form of powder and brew it as a tea or incorporate it into their food. Others consume it as an extractor by simply chewing its leaves. When taken in low dosages of 10 grams or so, Kratom will make you feel exuberant, cheerful, energetic and talkative. But, in higher dosages of 20 to 50 grams, you’ll feel relaxed, calm, sedated and certainly pain-free. Plus, Kratom effects can be quite similar to opiates like heroin and morphine, especially when it comes to alleviating pain. However, if Kratom can cause so much harm, why is it still legal in North America? It’s because there isn’t enough research on Kratom to warrant an all-out ban. Additional data is needed and it must be based on human clinical trials. In the meantime, there are a few states that have banned the sale and use of Kratom including Tennessee, Vermont, and Indiana, while a few other states are currently discussing the matter of legislation and considering possible bans too. The foremost concern surrounding Kratom use is that it has massive potential for dependence and addiction. For one, Kratom contains chemicals that can be found in opiates. It triggers the same opiate signals that drugs like heroin and oxycodone activate. 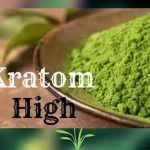 On the flip side, this could be a good thing as these Kratom effects can minimize the withdrawal symptoms associated with these drugs, thus facilitating faster recovery. This doesn’t take away from the fact that long term Kratom use leads to a build-up of tolerance in the system, which necessitates the use of larger doses down the line. So, it starts to look like the longer you take Kratom the higher your risk of dependency. Many long-term users would rather continue upping their dose instead of stopping altogether. People that have been taking Kratom over long periods of time may need professional help to stop taking the substance. Most turn to professional detox facilities where they can receive support from trained medical staff. This often makes it easier to go through withdrawal symptoms like high blood pressure, which requires medical attention and observation. It’s important to acknowledge that dependence on Kratom is a fairly recent phenomenon in the West so there’s no targeted treatment plan for it like for other substances. Available scientific data shows that there are only a few medications that can effectively be used in overcoming Kratom withdrawal and addiction. Some of these drugs are already in use for opiate addiction treatment. They include a weak opiate known as dihydrocodeine, and a high blood pressure medication that’s called lofexidine. Once a patient has successfully overcome the intense withdrawal symptoms, they may begin with their drug rehabilitation plan either through inpatient or outpatient care depending on their circumstances. There are plenty of peer recovery organizations and after-care programs that are designed to help former users to recover and stay clean from all types of addiction. Kratom has been a part of the Erowid Drug Vault list since 1999, and yet its use and popularity only started picking up in 2012. There’s a thriving culture and movement around Kratom, as evidenced by the flourishing commercial market that sells Kratom coffee mugs, apparel, and other apparel. Dr. Edward Boyer from the University of Massachusetts Medical School did some research on Kratom use and found that the drug can benefit people that are recovering from opiate withdrawal symptoms. Dr. Boyer published his findings in September 2013, and a month later the Chicago police arrested a Kratom distributor who allegedly tried to bribe an undercover police officer to “eliminate” his competitor. This shows that there are positives as well as negatives when it comes to Kratom use and distribution in the US. Many people refer to it as the new bath salts, while others identify it as a natural plant that offers a high similar to South American coca. One of the most important things to remember when taking Kratom is to stay hydrated because this plant can dry you out! There may be a bit of nausea as well in the beginning but this often passes quickly. Experienced users say it’s better to swallow it slowly to avoid some of the adverse Kratom effects. The effects of Kratom can be quite unstable, so it’s best to not engage in an activity like driving after you take it. For the best result, start with the lowest dose possible, especially if this is your first time taking it. It’s easy to determine a dose when you take Kratom in capsule form but if you buy it as a powder you’ll have to measure it yourself using an accurate digital scale. Beware that there are Kratom vendors out there who mix their powders and capsules with other substances like morphine and fentanyl. These are dangerous and powerful opioids that shouldn’t be taken without medical supervision. Also, be careful of addiction and try to set limits for yourself. For instance, you could limit intake to once or twice per week or even just twice per month. 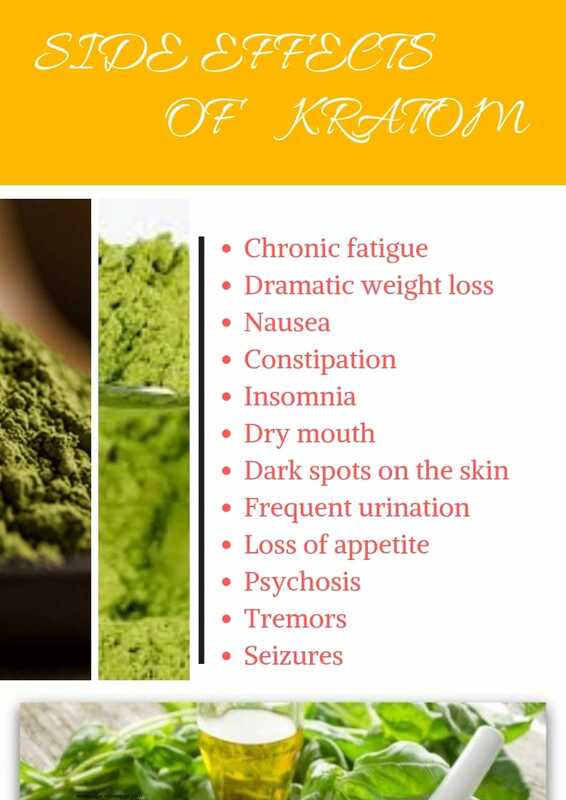 Some of the most common symptoms of Kratom addiction to looking out for include constipation, constant urination, insomnia, sudden weight loss, and anorexia. Common withdrawal symptoms include lethargy, muscle pain, weakness, nausea, hallucinations, insomnia, and diarrhea. There’s no way for standardized drug tests to detect Kratom because they’re not designed to identify it. But specialist tests like GC-MS (gas chromatography-mass spectrometry) might be able to identify Kratom in urine test samples. There’s evidence to suggest that regular Kratom use over long periods of time may lead to delusional thought patterns. Although it’s safe to take Kratom responsibly and moderately, there have been reports of users who’ve experienced anxiety as a result of taking Kratom. However, the “high” produced by Kratom is quite mild and easy to manage for most people, and definitely not like the psychoactive effects produced by other substances. For the most part, it’s quite safe to take Kratom, granted that you’re healthy and of sound mind. This doesn’t mean you should dive head-first, however. It’s best to start with a small dose to test the waters and ensure that you’re not allergic to it in any way. Also, Kratom has a slight risk factor for people with liver damage, and there’s no available data on how it can affect pregnant women. This will depend on the state legislature in your country or state. Although it’s mostly legal to buy and sell Kratom in the US, it does come with a few risk factors, especially for people who’re currently taking other medications for health reasons. There’s no denying that Kratom offers many health benefits but there isn’t enough scientific research to back its long-term validity. So, if you’re thinking of trying Kratom, make sure to do it with your eyes wide open, educate yourself and don’t forget to consult with your physician. 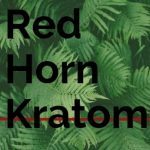 What To Know About Red Horn Kratom Dosage & Benefits? How To Safely Use Kratom For Pain?